Until the 20th century, the shipping distance between the east and west coasts of the United States was 13,000 miles. Building the Panama Canal reduced that distance to 5,200 miles and today, some 600 million tons of goods are transported through that canal each year, on nearly 15,000 ships, which corresponds to about 25% of the planet’s seaborne containerized cargo. The sea-level Suez Canal between the Red and the Mediterranian seas, built by the French engineer Ferdinand de Lesseps, successfully opened in 1869. In 1880, de Lesseps started work on the Panama Canal. He made the mistake of trying to build a 51-mile, sea-level canal, which would have required cutting through mountains of rock, such as the Culebra mountain, in a tropical rain forest region. After digging up some 60 million cubic meters of earth and rock, and after many land slides, yellow fever epidemics and other accidents that killed up to 22,000 workers), the project went bankrupt in 1889, wiping out the savings of some 800,000 investors. de Lesseps and his son were convicted of misappropriation of funds, and of at least knowing that some 2,500 newspapers and magazines, and some 150 deputies were paid off to promote the financing of the project. In 1904, the United States purchased the remaining assets of the French project and forced the independence of Panama from Columbia. A treaty was then signed giving the right to the United States to build, indefinitely administer and defend the Panama Canal Zone. This agreement has sometimes been misinterpreted as the "99-year lease," which it was not. That same year, the construction project, which President Theodore Rosevelt strongly supported, was restarted. Thanks to the chief engineer, John Frank Stevens, the main error of the French (the goal of building the canal at sea level) was eliminated and due to the efforts of William C. Gorgas, chief sanitation engineer, after some 5,600 deaths, the mosquito-spread diseases were nearly eliminated. The project was concluded two years ahead of schedule in 1914. Panama never fully accepted that the Canal Zone be administered by the United States, and the tension between the two nations increased until relations broke in 1964. In 1979, a treaty was signed by President Carter, which promised that the ownership of the canal would be transferred to Panama in 20 years. A complicated period followed during which the United States first supported the former CIA informer-turned-dictator Manuel Noriega, then in 1998, turned against him and invaded Panama. Still, the treaty signed by President Carter in 1979 was respected and on December 31, 1999, the canal was turned over to Panama. In 2006, Panama decided by a national referendum to expand the canal. This expansion added two sets of locks (one each at its the Pacific and the Atlantic ends) and widened the old canal to allow traffic in three lanes. The construction of the expanded waterway cost $5.25 billion, involved 37,600 workers, and used 44 million cubic meters of concrete and 192,000 tons of steel. The canal was inaugurated in 2016. Today, ships large enough to carry 13,000 containers can pass through it in both directions (the old canal could only handle ships carrying 3,000 containers). The average passage time through the canal is about 24 hours, which includes about 16 hours of waiting time at the locks. During its first 20 months of operation, 3,000 New Panamax ships crossed the expanded canal, mostly carrying Chinese goods to the United States. The per-ship cost of each passage varies widely, and can reach one million dollars. Because the sizes of the container-cargo ships are constantly increasing, it is already projected that the larger locks that serve the new expansion, completed in 2016, will become too small by 2030. The Panama Canal locks use the water of two lakes (Gatún and Miraflores) for their operation (Figure 1). As the ships start to travel from one ocean to the other, they enter the canal by entering the first lock, in which the water level at the time of entering is the same as the ocean because its gate is open on the ocean side. Once the ship is inside the lock chamber, the ocean-side gate is closed and water from the lake above is admitted to raise its water level and the ship. This is repeated in the next locks until the ship reaches the level of the lake. At the other end of the canal, the opposite process takes place as the ship is lowered in three steps to the ocean level. The energy supply of this operation is the gravity flow of the water from the lakes above. Figure 1: The Panama Canal locks are powered by gravity flow of the waters of Gatún and Miraflores lakes. Once a ship is inside a lock chamber, the ocean-side gate is closed and water from the lake above is admitted to raise its water level and the ship. This is repeated in the next locks until the ship reaches the level of the lake. Gatún Lake is one of the world's largest artificial lakes, created to serve as a water reservoir for the canal. It is filled by the Chagres River and by rainwater runoff from the surrounding rain forests. The water collected during the rainy season must be enough to also operate the canal during the dry season. It must provide 26 million gallons of water for the passage of each ship. When the canal was expanded, the number of ships, their size and the size of the locks increased, which naturally requires more more water. In anticipation of this increased water demand, the capacity of the lakes above was also increased by increasing their water level. 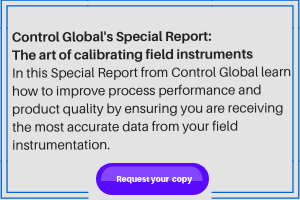 When a process control engineer looks at this process, he or she will first look at the goals of the application (the setpoints of the control loops) and then for the variables that can be manipulated to achieve those goal (manipulated variables). After that, he or she will review the potential sources of upsets. Maximizing the water savings by optimizing the use of water-saving basins. Adjusting the passage fees to motivate the use of optimum timing and distribution of the passage of ships. Considering the use of adjustable-length lock chambers. In option 1, when a ship is lowered, instead of draining the water into the ocean, it is sequentially sent to water basins at elevations where they can serve as the water source to lock chambers for lifting an entering ship. This reduces the water usage of the canal by 60%, but only if, during a particular time period, the number of ships moving in the two directions is the same, they move at the same speeds and their water displacement (size and weight) is close to be equal. Process control algorithms can easily calculate how to reach this balance—human operators cannot—and it’s important because otherwise, on the side where the traffic is higher, the water in the storage basins will run out. Naturally, the process control algorithms can only suggest the most water-saving operation, but can’t force the ships to follow that recommendation. Obviously, the best motivation for the ships to follow that recommendation is to increase the cost of passage (manipulated variable) if they don’t. If global warming further increases, eventually these steps will become insufficient and at that point the options will be to use pumped ocean water to provide the hydraulic lifts, to convert the canal into a sea-level one, or to replace this canal with a sea level canal in Nicaragua.